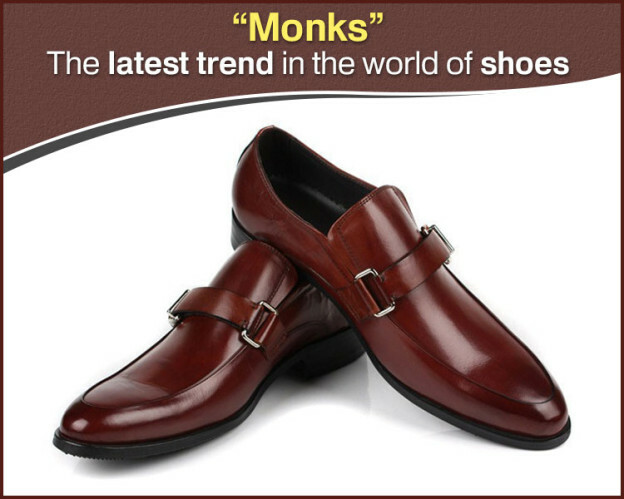 Many of you must be aware of the latest trend in the world of shoes – Monks! They are distinguished by a buckled flap, not laces. That particular flap is known as the “Monk Strap”. Monks are the versatile pair that falls between your casual leather shoes and formal oxfords. Moreover, they are a fashion statement because they add a pizzazz to your entire look. Monks come in two varieties: single and double strapped. Men having wide feet can prefer double strapped monk, otherwise, you can pick both or any of them – they still look gorgeous. Monk shoes go perfectly with your denim and chinos, apparently they add a suave and a classy look without making your attire look formal. The best thing of monks is they look elegant when paired them with a suit, so save them for formal occasions! Anyhow, if you are looking for a casual monk style, do not wear them with a suit, rather you can style them with chinos or jeans. When we talk about colors, then try to avoid black because they will make your outfit look dressier. For the modern man look, go for a double monk strap for a slim fitting suit. If you want a classy and traditional loo, then single monk strap is what you must go for. There are many colors and designs available, make sure you buy a pair which suit best with your outfit. Moreover, you can contrast your outfit with the buckle of your shoe for an eternal look. However, for a summer look make sure you go for a brown or a black model with a three-piece suit. Monks are your best choice if you are looking for an elegant look without making it too formal or conservative. Look classy and fashionable in monk straps and be in the limelight!